Mr Wheels have an extensive wholesale network from which we source our cars, meaning better quality and bigger savings for our customers. Buying a used car can be time consuming and quite frankly overwhelming. It is tough to find the perfect used car for you and your lifestyle and at a decent price. Finding a used car in Cairns get easier when you know what you are searching in your next used car. 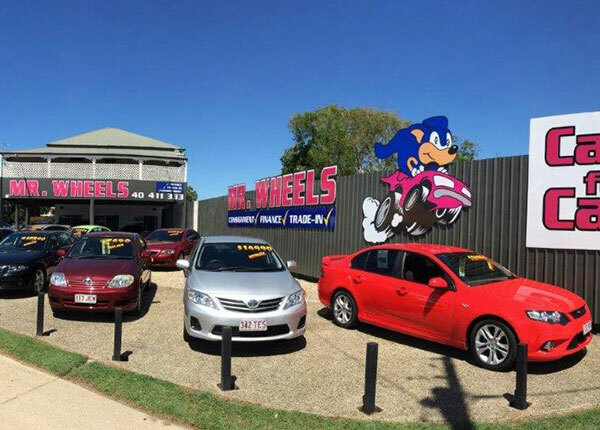 If you have looked through our stock and cannot find the specific used car you want, please get in contact with Mr Wheels Cairns and we will gladly help you find the car you need at a great price and the least time possible. We can also look after your finance, warranty and insurance for your next car purchase.